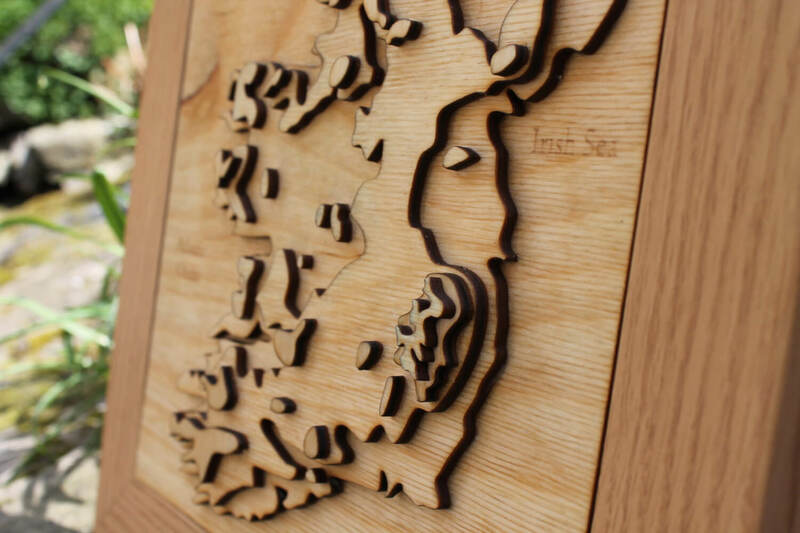 This is a 3D map of Ireland laser cut on birch wood. 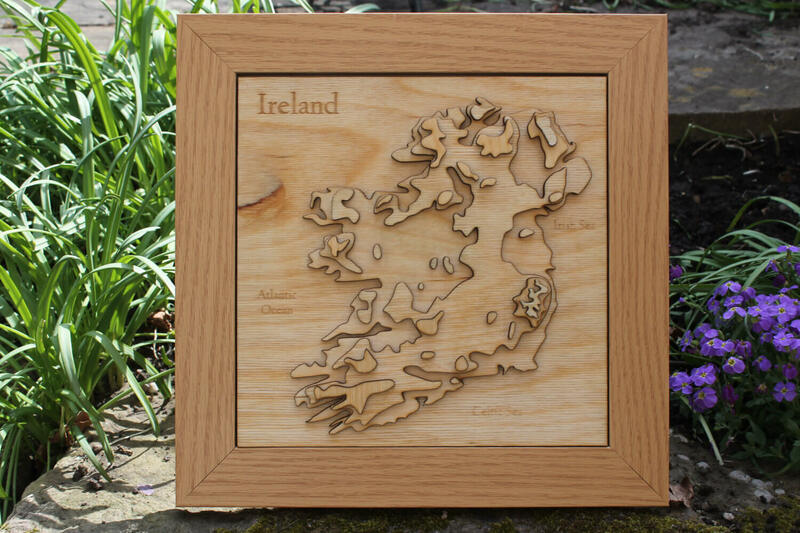 This contains the Republic of Ireland and Northern Ireland on one map. 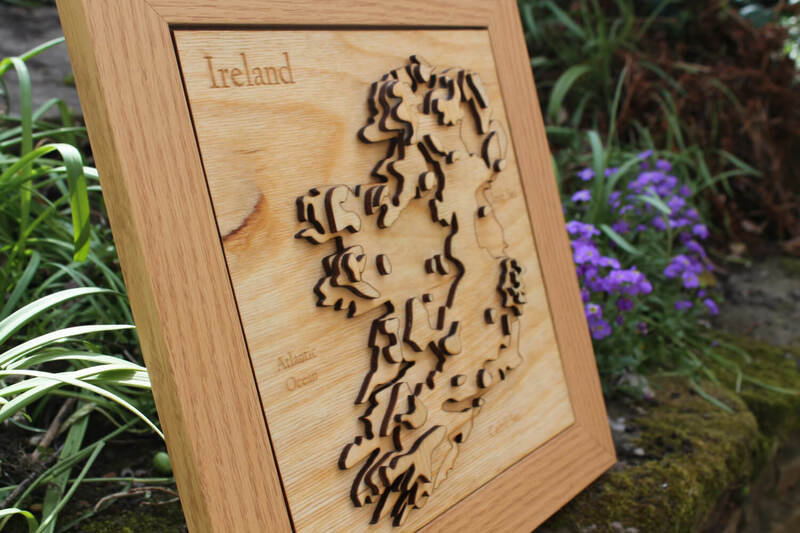 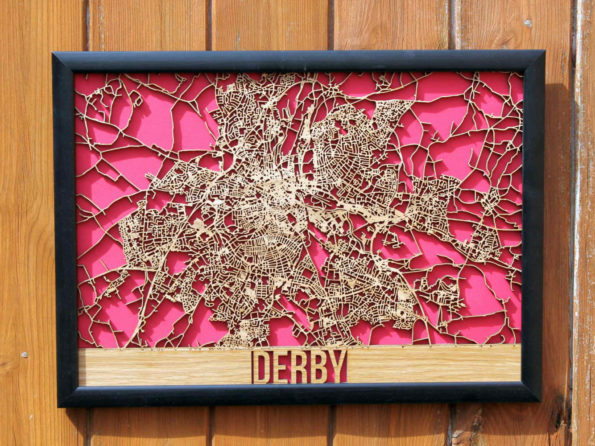 This item uses five layers to create a 3D representation of Ireland. 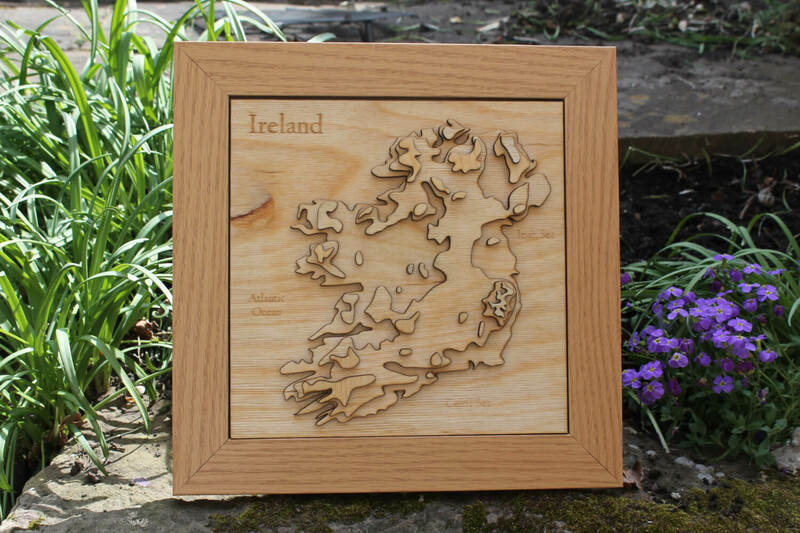 Ireland as well as the various sea’s are Laser Engraved on the bottom layer. 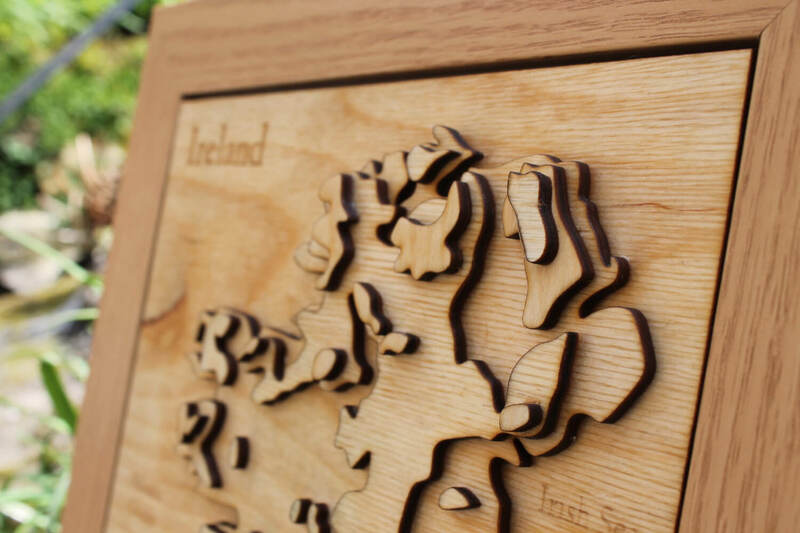 This really was a labour of love for me to design and create and it looks amazing in person..